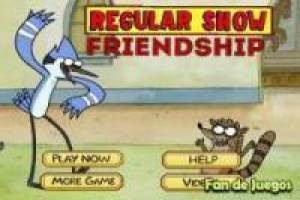 Regular stories or regular show want you to play this fun Mordecai game where you have to pick up some snacks and above all you have to find your friend Rigby. New surprises await you every time you advance to a new level. 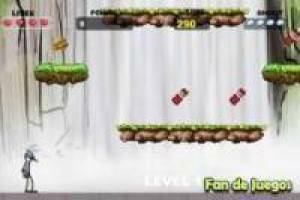 If you prefer you can play it in the APP or on any device with an Internet connection. Have a good time picking up snacks and finding your friend Rigby so you can start new adventures in the game. 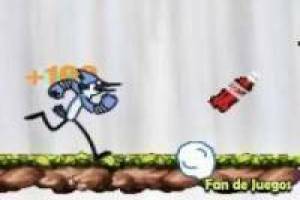 Enjoy the game Regular show friendship, it's free, it's one of our regular show games we've selected.